This viewlet has been expanded to contain three types of virtual meters: Electric, Water and Gas. 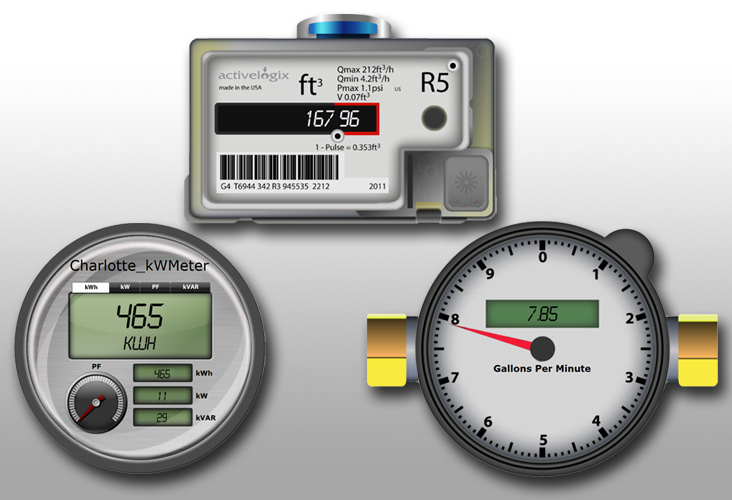 Multiple meter viewlets may be used simultaneously to display information from different meters and can be configured and used on multiple dashboards. The electric meter can be used to simultaneously display four configurable variables which default to KWH, KW, KVAR and Power Factor. The parameter shown on the main display is user selectable. The water and gas meters can display flow and consumption.